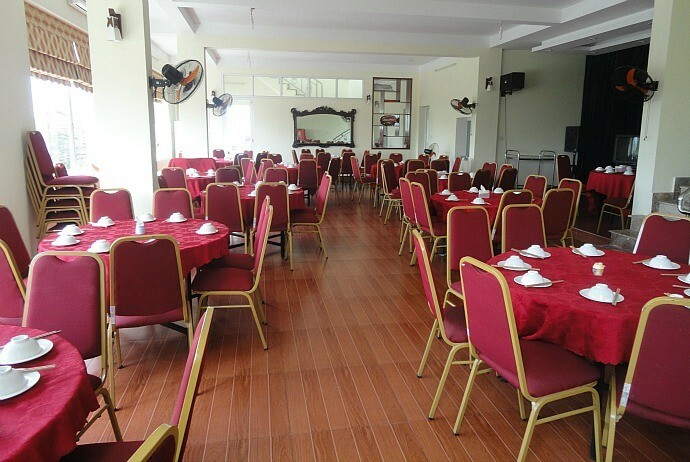 Linh Dan Restaurant is famous for its delicious food and cheap price. With luxurious and modern style, this restaurant provides over 200 seats with the convenient parking lot. 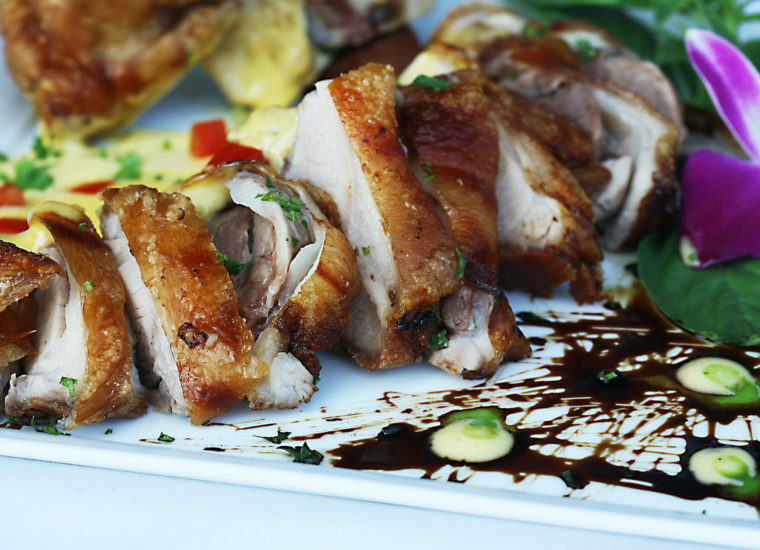 This restaurant’s popularity is guaranteed by their professional chef, who can offer sumptuous and delicious meals with a diversified menu of Vietnamese, Asian as well as Western dishes. In addition, the friendly and well-trained staffs also bring you good service. 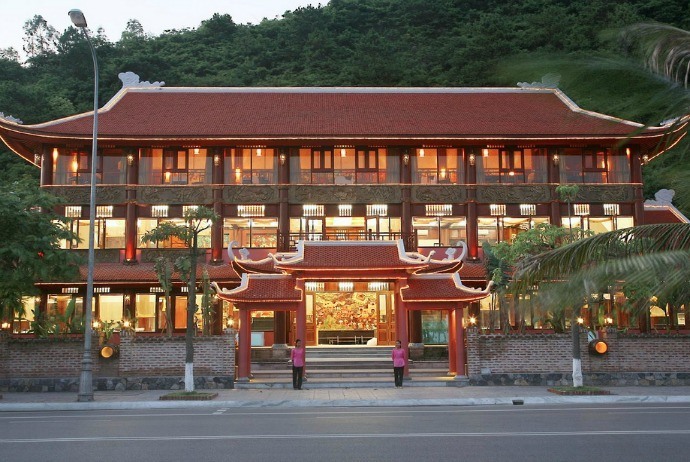 Thanks to its strategic location (in the downtown center, just a few-minute walking from Bai Chay Beach and the deluxe hotels), Co Ngu Restaurant is one of the most popular restaurant among travelers. With stunning wooden style and amazing front garden, this restaurant is designed rather similar to a genteel Vietnamese palace in Hue. With a diverse and extensive menu offering a wide variety of dishes, Co Ngu restaurant can serve not only Eastern but also Western cuisine. Many former guests said that Halong specialties, especially fresh seafood, are some of the most suggested dishes in Co Ngu Restaurant. High class seafood served here are shark fin and roasted oyster. In addition, this restaurant offers guests a wide range of wine, from traditional Vietnamese rice wine to famous Western wine brands and tropical juices for those who do not drink alcohol. 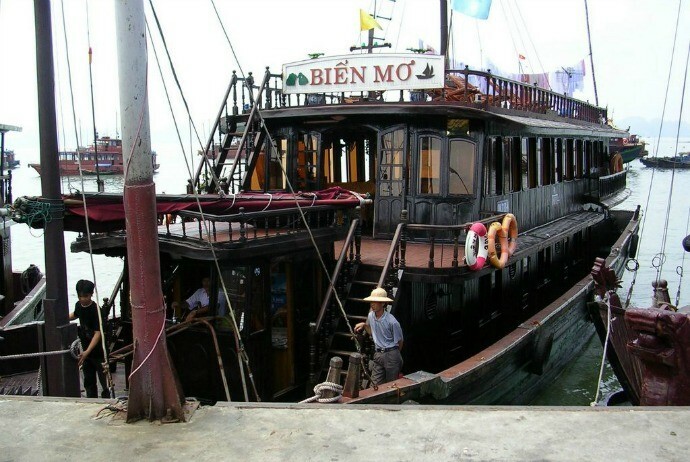 When it comes to famous Halong Bay restaurants, Bien Mo Restaurant, whose name means Dreamy Ocean, is a unique floating restaurant. Located 15 minutes from land, the marvelous restaurant rises and falls with the tide making it a unique position in Halong Bay. From distance, Bien Mo floating restaurant with a simple design reflecting a wooden floating house looks like a fishing boat that can easily be found here. Actually, its airy ambiance as well as strange location is the charms of Bien Mo restaurant. Believe or not, once experiencing dinning while being amid a bay of thousands of great islands with subtle sea breeze, you will keep it in mind forever. That is also the reason why not mention to its food quality, Bien Mo restaurant is attractive. 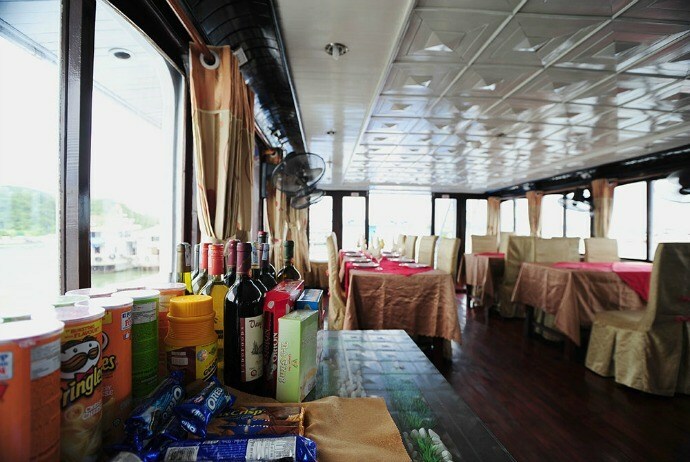 Its delicious food is another feature making Bien Mo floating restaurant one of worth-visiting restaurants in Halong Bay. Bien Mo itself fascinates diners with fresh seafood. 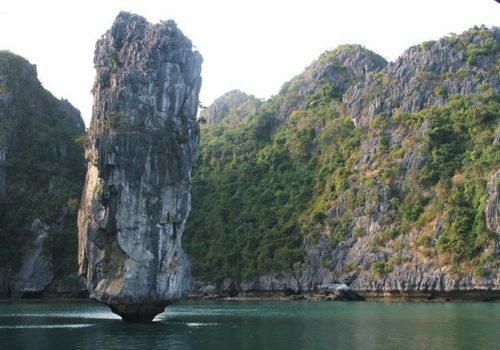 From crab, oyster, cuttlefish, to snail and other kinds of fish, there are almost types of seafood in Halong Bay here. Moreover, there are some underwater cages to keep fish alive all the time ensuring the quality and freshness of food. Anh Duong Huong Lan, which has an exceptional exterior, in addition to a delicate, creative interior design, stands out from other poorly designed seafood restaurants in Halong City. The harmony between glass and white and red bricks creates an awesome look from the outside. On the other hand, the inner space is split into distinctive regions with distinguished styles to easily please any kinds of guests. Beyond that, many window seats are also for those loving viewing Halong Town’s breathtaking beauty. Not only for its magnificent design, Anh Duong Huong Lan is also famous for a large number of freshly processed seafood. Here, all the dishes and specialties are always prepared with great care and professionalism. Also, the restaurant itself is well known for its food hygiene and safety. Therefore, there is no need to worry about the quality of food. Location: No. 39 Tran Hung Dao Street, Halong, Quang Ninh Province.